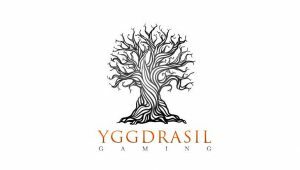 Just on time for Halloween and Yggdrasil is releasing a terrifying slot! In fact, in this October 2018 release Wolf Hunters, you’re invited to join a team of hunters in search of werewolves. What’s more is that as you spin to liberate the world from the monsters, you’ll have the chance to trigger 3 different Free Spins, Sticky Wilds, Expanding Wilds, Spreading Wilds and Re-Spins! So, before giving you a bit more information on the 3 different Free Spins features, we think it’s important to say a few words on the Battle feature since you’ll activate it in both the base game and in the Free Spins bonus. To sum up, you’ll activate the Battle feature every time a Wolf Hunter, and a werewolf simultaneously lands on the reels. The battle itself consist of a simple animation and when a hunter wins the defeated wolf symbol will transform into a Sticky Wild for one or more Re-Spin(s). Also, you’ll notice that after winning a battle the Wolf Hunter meter, (on either side of the reels) will increase. Once a meter is full, you’ll trigger the corresponding Free Spins feature. The 10 “regular” Free Spins are triggered with the help of 2 Wolf Hunters symbols. When this feature is active, know that the hunters a twice as likely to win their fights. Therefore, you have more chances to get Sticky Wilds on the reels and Re-Spins too! But that’s not all! When the “regular” Free Spins are in play; you’ll also have the chance to activate each hunter’s unique skill and get lots of spreading wilds on the reels! The Wolf Hunters Free Spins bonus is triggered when the male hunter meter is full and will give you 10 Free Spins and the chance to upgrade your character. To upgrade your character, you’ll need to win a few battles. But after upgrading your hunter, each new victory will give you expanding wilds. The Slayer is the third and final Free Spins bonus. You’ll activate it when the female hunter meter is full. Undoubtedly, it’s the most rewarding feature of the game since all wolf symbols will automatically turn into wilds! Wolf Hunters is a great action-packed slot, and it would be tough to describe all the thrill this game offers in such a short review. So, why not braving the werewolves at any casinos listed on this page to get the full experience. Remember to claim a casino bonus. It might come handy to have a longer quest since Wolf Hunters is a medium to high volatility slot! Have fun!